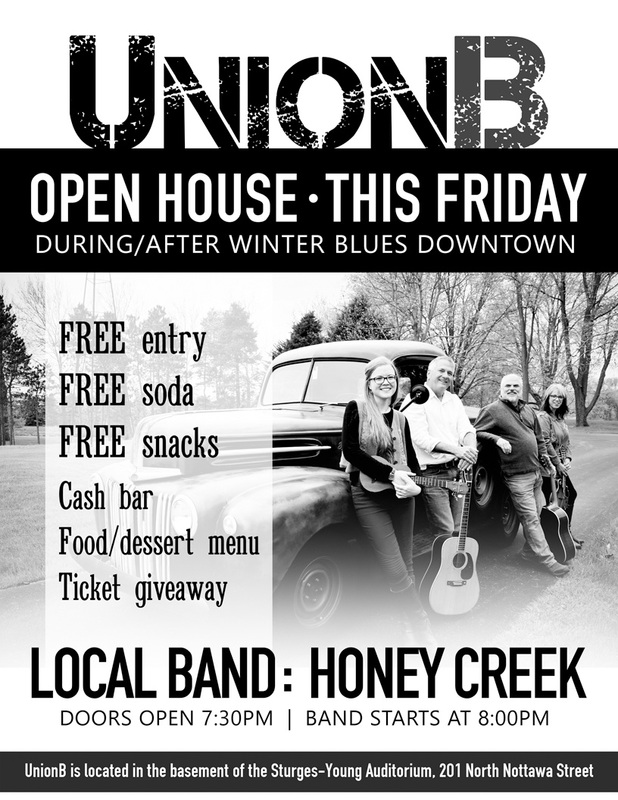 01/18/2019 20:00 01/18/2019 America/New York UnionB Open House - Honey Creek Come check out the new UnionB event space this Friday during our open house!! 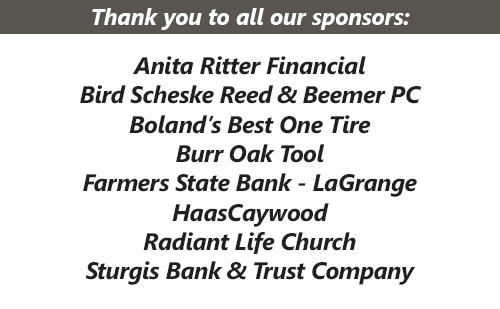 During the Honey Creek show, we're offering FREE ENTRY, FREE SODA, FREE SNACKS as well as our cash bar and food/dessert menu. Honey Creek is the latest incarnation of the folk-rock and country-blues band that John Polzin and Tim Peterson first formed 8 years ago as Fire & Rain. With current lead singer Marjorie Wisler, and bass guitarist/drummer Ray Swinsick, the band has forged a local reputation for family-friendly performances and rich vocal harmonies. Performing original songs as well as American classics, Honey Creek continues to develop its own unique sound, occupying the space somewhere between Alison Krauss, the Eagles, and The Band of Heathens. Doors open 7:30pm. Full bar and food available. Sturges-Young Auditorium: Come check out the new UnionB event space this Friday during our open house!! During the Honey Creek show, we're offering FREE ENTRY, FREE SODA, FREE SNACKS as well as our cash bar and food/dessert menu. Come check out the new UnionB event space this Friday during our open house!! During the Honey Creek show, we're offering FREE ENTRY, FREE SODA, FREE SNACKS as well as our cash bar and food/dessert menu.